The little village of Pitlochry lies just off the main A9 highway to the Scottish Highland about 1 hour and 20 minutes drive north for us and just south of Blair Atholl. 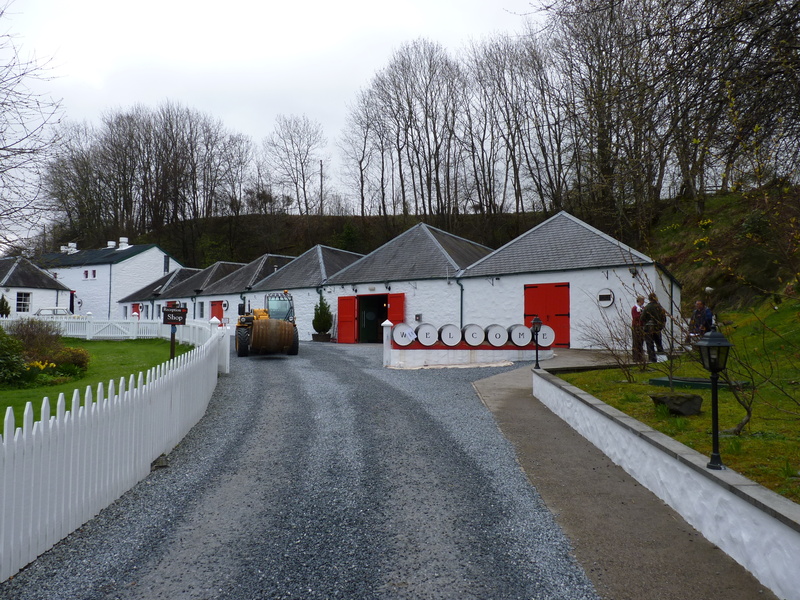 Here you will find not one but two historic whisky distilleries! 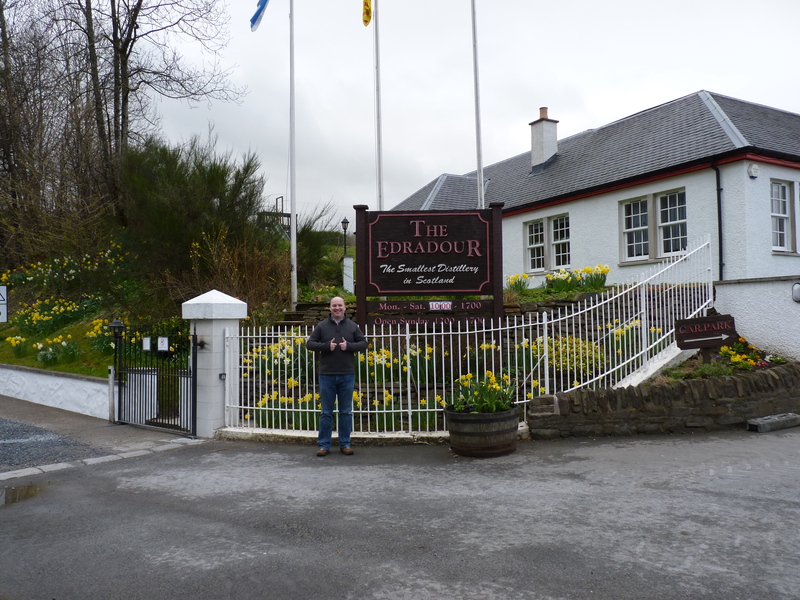 On 6th May 2013 we set off for Pitlochry and our first stop was at Edradour, the smallest [and possibly one of the prettiest] distilleries in Scotland. Edradour is tiny, with most of the operation being undertaken by manpower, a feeling of how traditional distilling was performed is obvious to appreciate after visiting Edradour especially if you are lucky enough to see the Draff being shovelled by hand out of the distillery and into the waiting cart! 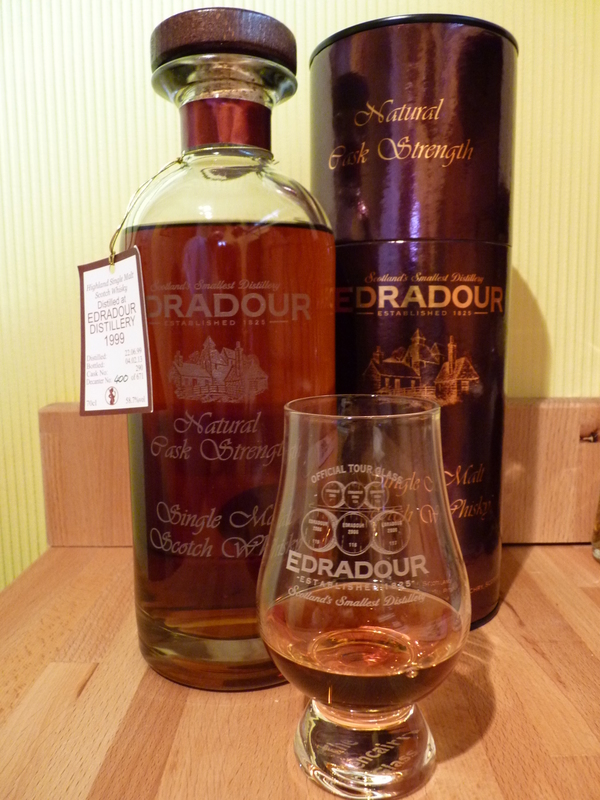 Edradour is owned and operated by the Signatory Vintage Scotch Whisky Co. Ltd under the leadership of Andrew Symington. 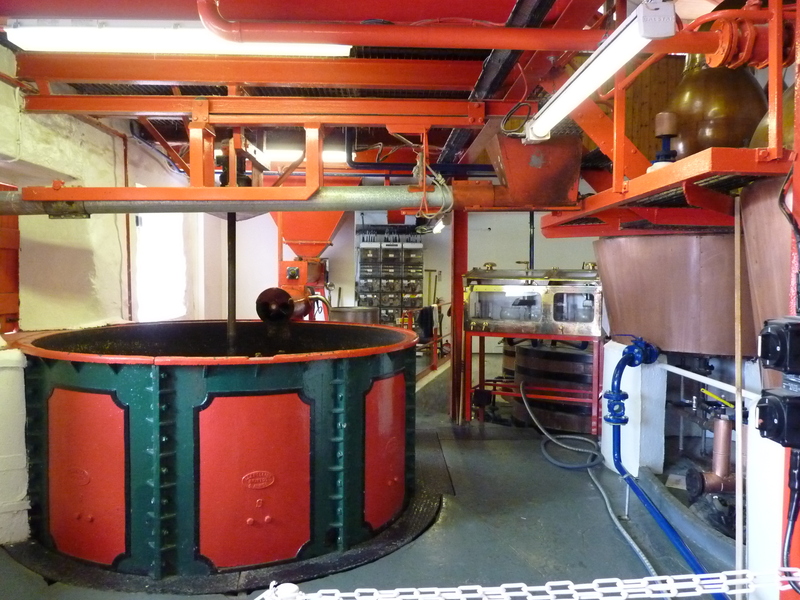 Edradour produces around 130,000 litres of alcohol per year, of which around 26,000 litres are from heavily peated barley and are used to produce their Ballechin range of whisky expressions. The tour starts in the old Malting House which has been converted into the now almost obligatory Distillery Visitor Centre. After a short film about the history of Edradour you are taken down through the Malting house past the old furnace so you receive a good impression of how the smoke and heat would permeate up and dry the malted barley. 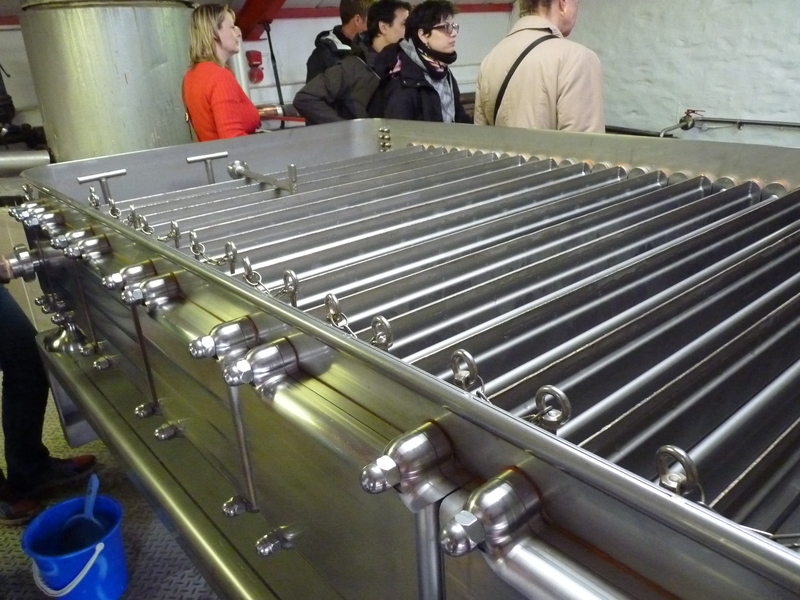 Edradour also operate with a stainless steel Morton refirgerator which has just been recently replaced at great cost due to the custom-build & design. This cools the wort from the mash tun before it goes into the washbacks [as the yeast would die if the wort temperature was too high] at the same time as heating the next batch of water for extracting the sugars from the malted barley. Again if you are lucky during a visit you can see this in operation. 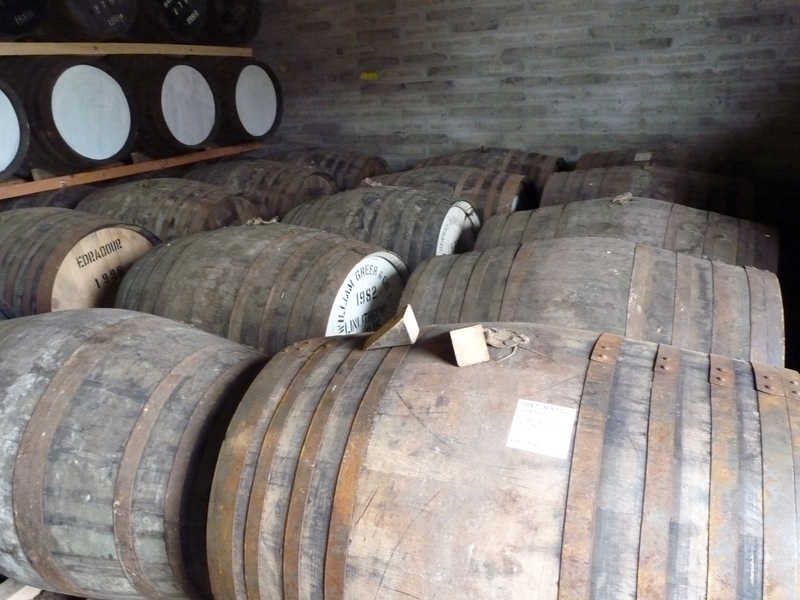 The Distillery visit concludes with a trip into one of their traditional dunnage warehouses. This is the best place to take a lot of deep breaths and stock up on the free whisky, remembering to leave a little for the Angels. 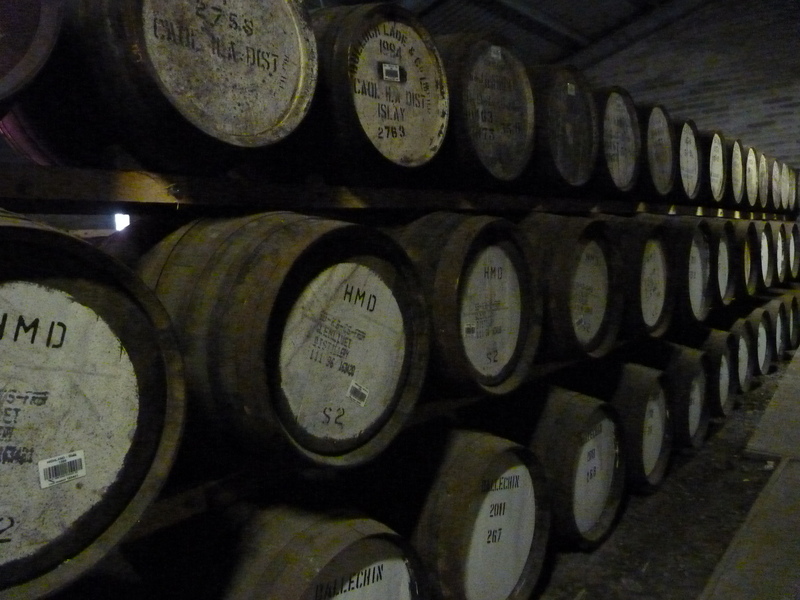 As part of the Signatory group they stock and bottle whisky from practically every other distillery in Scotland so a short trip around the warehouse reveals some very interesting names and dates on some of the casks! The Edradour spirit itself is typically matured for 10 or 11 years and then a good portion is subjected to a second cask-maturation [or finishing] in a range of casks including more traditional Sherry or Port to the more obscure Wine barriques from renowned vinyards in France, Italy and Germany. Whilst they may not produce a vast amount of whisky compared to other distilleries there range is very impressive. 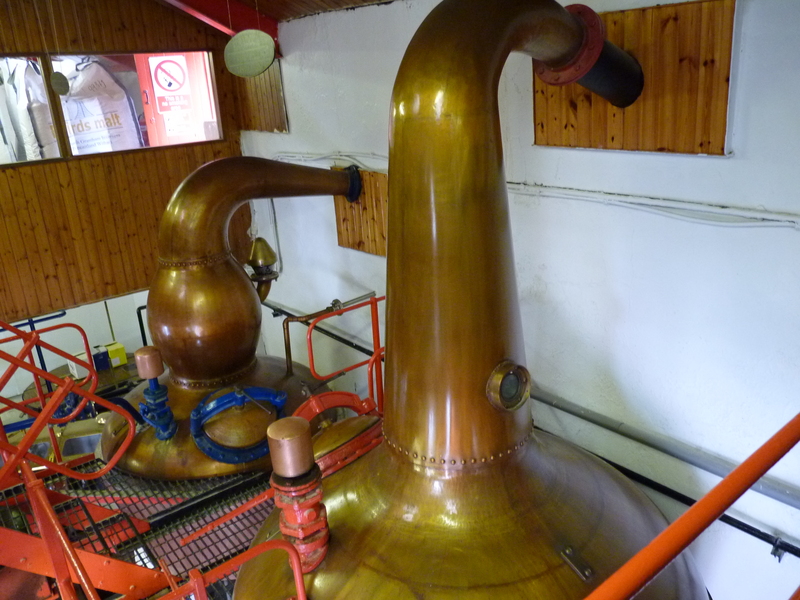 Of all the Distilleries we have visited this rates highly as one of our favourites, here you get a real feel for just how whisky distillation started in Scotland. When I get a chance I will visit that Distillery, it looks and sounds like a beautiful place!